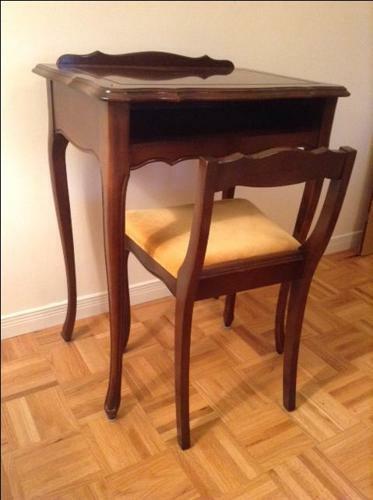 This desk is great for a vanity, work station or a place to sit and store your laptop. It has a beautiful vintage velvet seat. You will love this desk!